April | 2012 | 50 Westerns From The 50s. 50s Westerns DVD News #86: High Noon (1952). 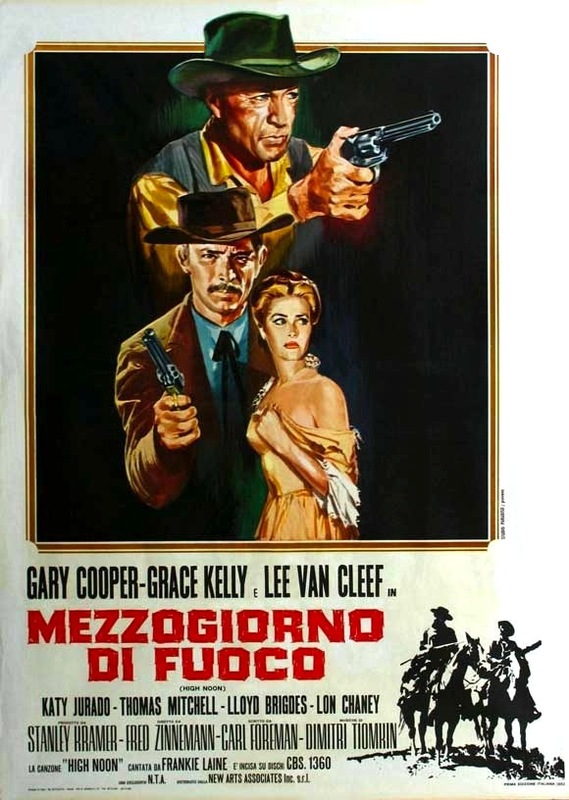 Here’s an Italian re-release poster for High Noon (1952). Note that Lee Van Cleef has achieved third billing, that John Wayne and Jeffrey Hunter (lifted from The Searchers) appear in the lower right corner, and that it plugs the theme song by Frankie Laine. Some of the other information is actually correct. This is to mark Olive Films’ announcement of a 60th Anniversary Edition of High Noon on DVD and Blu-ray, scheduled for July 12. Gary Cooper won a Best Actor Oscar for this one, widely considered one of the greatest Westerns ever made. There are a thousand stories about this film, from its transformation in editing to it inspiring Howard Hawks and John Wayne to make Rio Bravo (1959). Its cast is one of the genre’s best: Cooper, Thomas Mitchell, Lloyd Bridges, Katy Jurado, Grace Kelly, Otto Kruger, Lon Chaney, Henry Morgan, Robert J. Wilke, Jack Elam, John Ducette — and, of course, Lee Van Cleef. Another announcement: Olive Films has a Blu-ray (and new DVD) of Don Siegel’s Invasion Of The Body Snatchers in the works. Westward The Women (1951) Location. Being on the East Coast, I’m thankful that there are people covering where many of these 50s Westerns were shot. Who knows when I’ll get out that way. Today I came across Joe Maddrey’s post on film locations around Kanab, Utah, including a Western street from Westward The Women (1951). See below. It’s part of a series — be sure to check out his photos of Ford locations. Alias Jesse James (1959), Or (Almost) The Son Of Son Of Paleface. 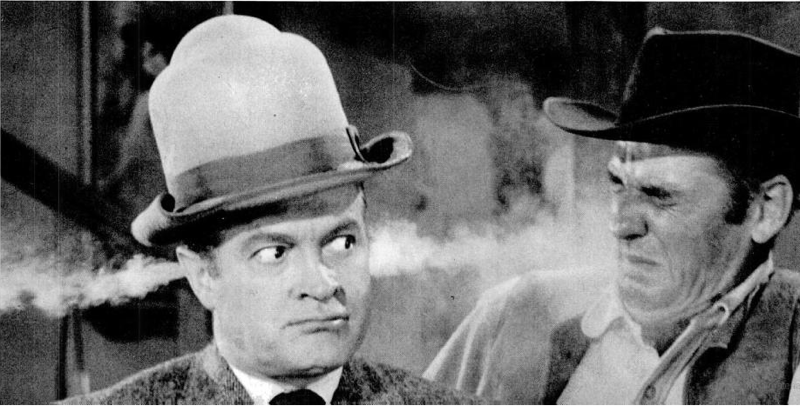 If you’ve spent much time on this blog, you’ve figured out that Frank Tashlin’s Son Of Paleface (1952), Bob Hope’s best picture, is one of my favorites films of all time. It’s certainly better than its namesake The Paleface (1948). Son Of Paleface made millions, so it was decided to send Hope west again. 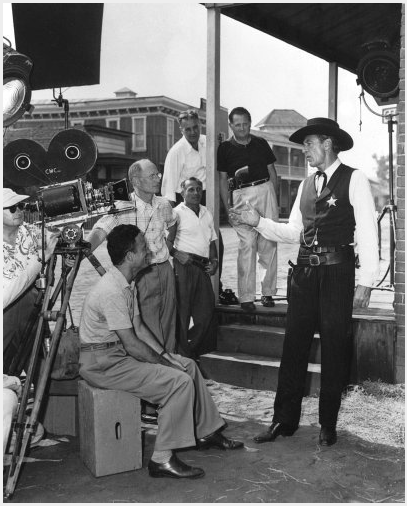 In November 1957, Bob mentioned Alias Jesse James to Louella Parsons — with Frank Tashlin as director! The picture contains a number of the kind of cartoon-ish gags Tashlin was known for (including a drinking gag very similar to one in Son Of Paleface), but he isn’t listed among the film’s four writers. One of the guys who did get credit, William Bowers, also wrote The Gunfighter (1950), The Law And Jake Wade (1958) and Support Your Local Sheriff! (1969). The plot here is pure genius. Hope’s an insurance salesman sent to buy back the $100,000 life insurance policy he sold to high-risk client Jesse James (Wendell Corey). Jesse cooks up a scheme to bump off Hope, make everyone think he’s Jesse, and collect the insurance money. 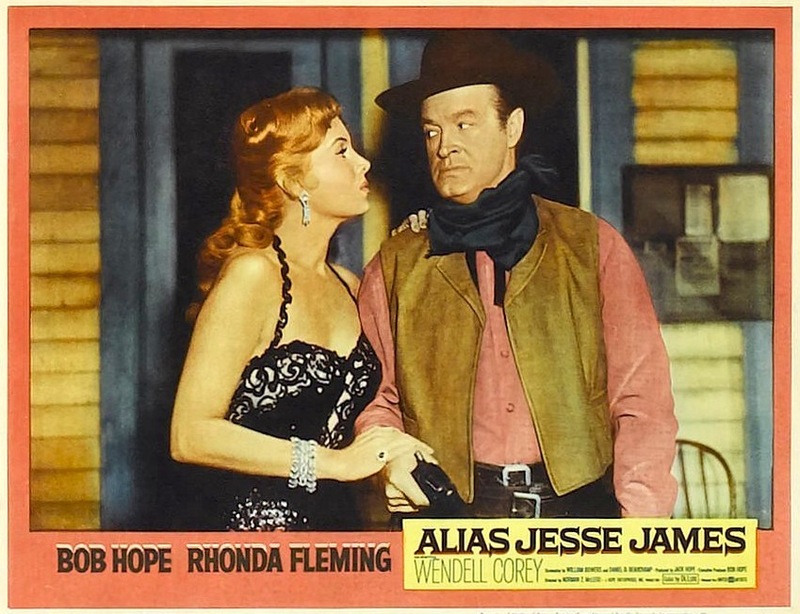 Rhonda Fleming plays Jesse’s girlfriend, and a slew of TV cowboys have cameos in the last reel — everyone from James Arness to Roy Rogers (who was wonderful in Son Of Paleface). While Norman Z. McLeod did a fine job with Alias Jesse James, it’s fun to think about what Tashlin would’ve brought to the picture. By the way, I’m looking forward to reading Ethan de Seife’s book Tashlinesque: The Hollywood Comedies Of Frank Tashlin. For years, I’ve been hoping someone would get around to a book on Tashlin. So who’s gonna write one on Phil Karlson or George Sherman? 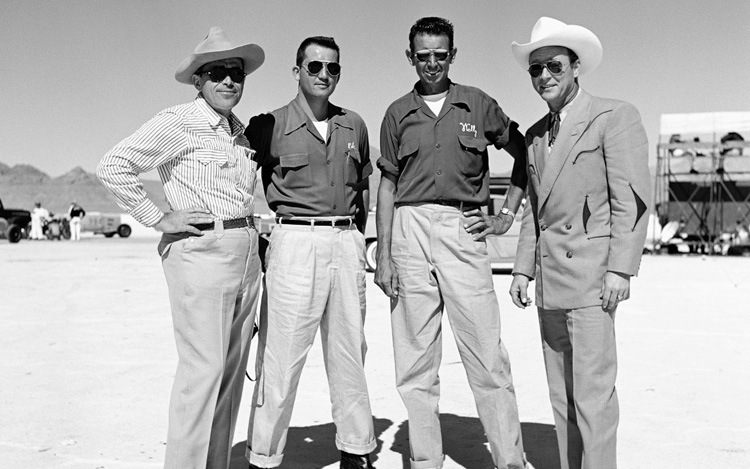 Roy Rogers At The Bonneville Salt Flats. Can’t remember where I found this photo, but it’s Roy Rogers at the Bonneville salt flats in Utah. You can see a couple rods in the background. I’d guess this is the early 60s. Roy came to mind today and it seemed time to put him up here again. I can’t think of anything greater than hanging out with Roy Rogers at the speed trials — or anyplace, for that matter. CAST: George O’Brien (Himself), Moe Howard, Shemp Howard and Larry Fine (The Three Stooges), Clem Bevans (Doc Mason), Sheila Ryan (Laura Mason), Lyle Talbot (Taggart), Monte Blue (John Sawyer), Fuzzy Knight (Sheriff). By the beginning of the 50s, Columbia was giving some serious thought to shutting down their short subject division. That would’ve left The Three Stooges with nothing to do, so they must’ve seen a feature for United Artists as a pretty good opportunity. 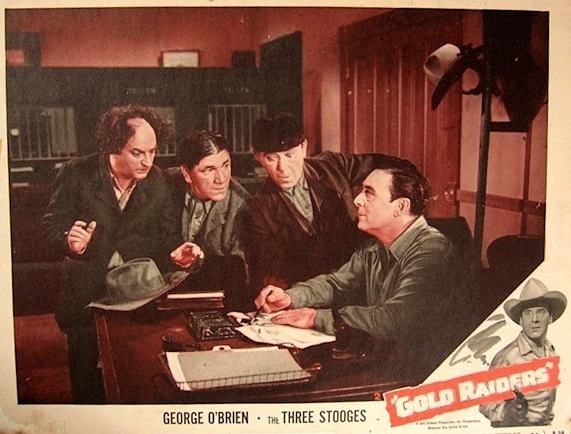 The Hollywood trades reported that Gold Raiders (1951) was to be the first of three Stooge pictures for UA. All three would co-star George O’Brien, and the titles for the other two were announced as Tuscon Joe and Gasoline Alley. Only Gold Raiders was made. 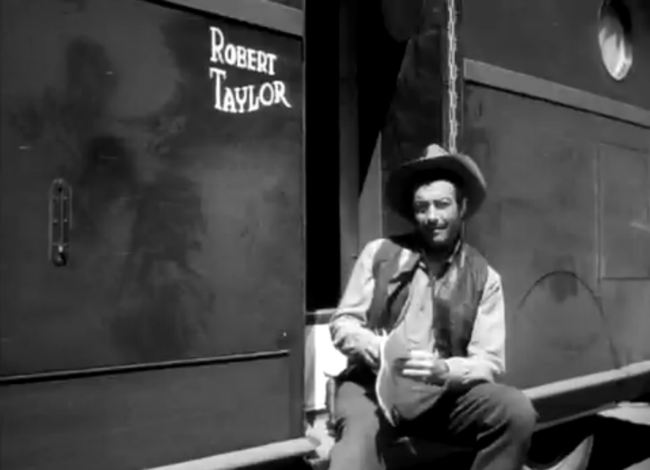 It was shot between Christmas and New Year’s in 1950, making extensive use of all the familiar sights at The Iverson Ranch. 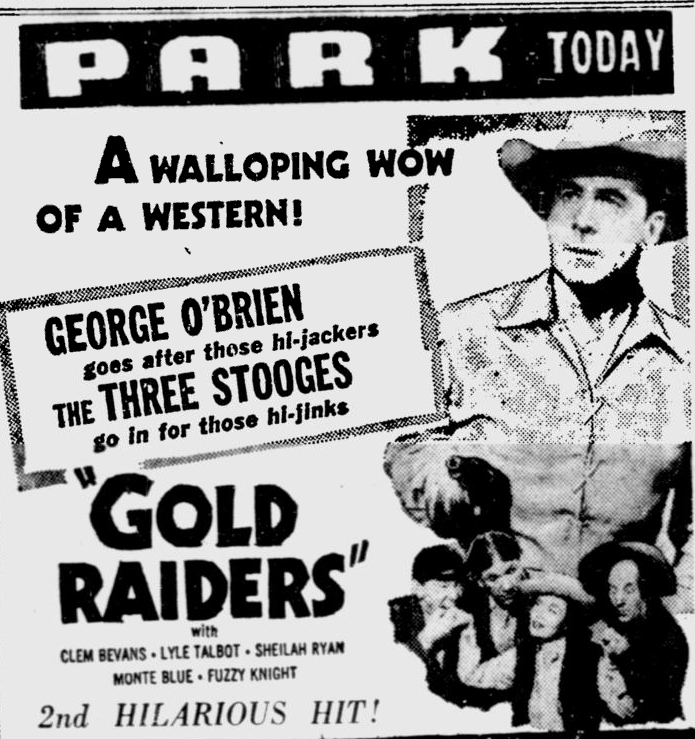 George O’Brien, whose career goes back to John Ford’s The Iron Horse (1924), would’ve certainly known his way around the place — as would the supporting cast of B-movie regulars. Edward Bernds, who’d worked with the Stooges on their Columbia shorts, was hired to direct. 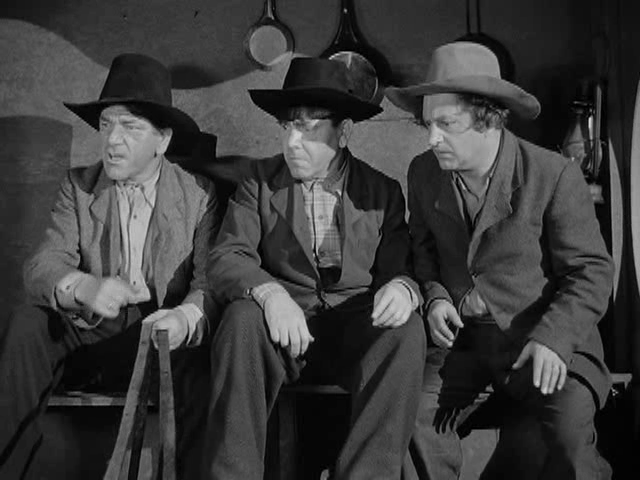 It plays as a pretty typical series Western — an insurance agent (O’Brien) is trying to find out who’s robbing all the gold shipments — with Moe, Larry and Shemp worked into the plot as traveling salesmen. While they do figure into the story, unlike some of their other features where they seem to exist outside the plot, they don’t have a lot of screen time. Actually, nobody does — it only runs 56 minutes. Watching Gold Raiders, you’d swear it was older than it is. It has the look and feel of a 30s or 40s low-budget cowboy picture. The Western aspects aren’t anything you haven’t seen before (or better) and the Stooge sequences aren’t as funny as similar gags in their two-reelers. A lot of the scant running time is dedicated to horseback chase scenes, with some of the shots repeated. What do you expect? They only had five days. And as Bernds said above, the lack of time and money is quite obvious. It’s easy to write off Gold Raiders as a cheap little curio. But there’s more to it than that. For years, the picture was available only through bootleg tapes, so it’s a real rarity and something devotees of The Three Stooges will want to see (it’s hard to pass up anything they appear in). 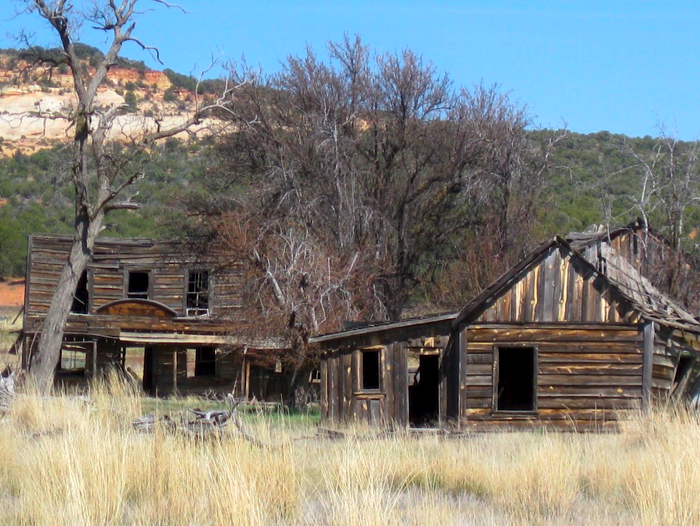 For Western fans, it offers up a great way to study The Iverson Ranch, from Mushroom Rock to the Western street. It’s got that great cast: Lyle Talbot, Clem Bevans, Fuzzy Knight. And on DVD, the transfer is stunning (and packaged with an earlier Stooges feature, 1933’s Meet The Baron). SOURCES: The Three Stooges Scrapbook, Lost In The Fifties: Recovering Phantom Hollywood. 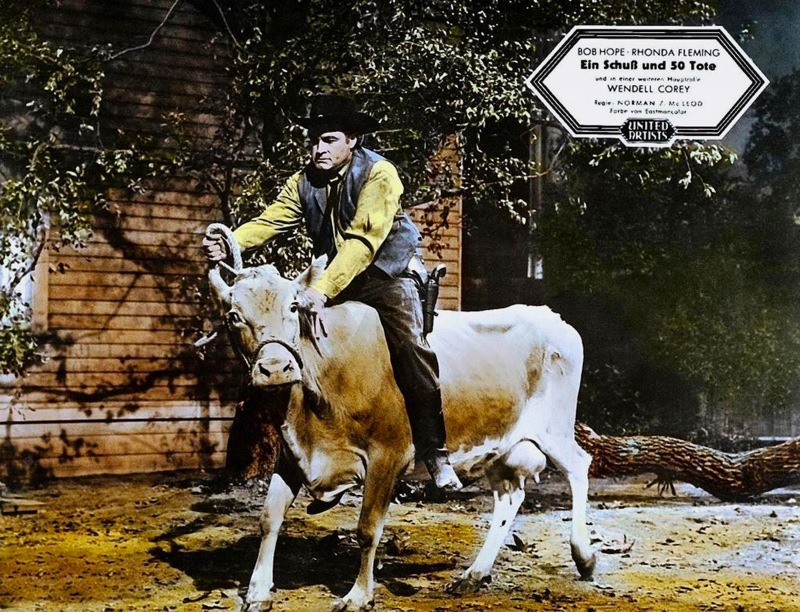 The Sheriff Of Fractured Jaw (1958). 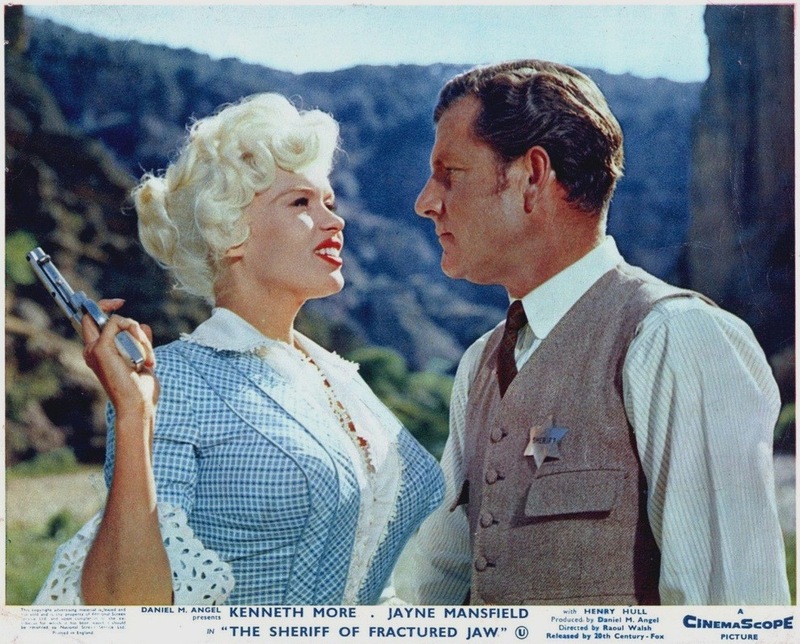 Here’s a still from Raoul Walsh’s The Sheriff Of Fractured Jaw (1958), starring Kenneth More and Jayne Mansfield. It’s one I haven’t seen — and really want to. Fractured Jaw came to mind after watching More in the true classic A Night To Remember (also 1958). Tucker McGuire is also in both films. A Night To Remember is a picture that really holds up — and doesn’t lose its impact — no matter how many times you’ve seen it. What’s more, with its attention to detail and commitment to authenticity, it’s a fitting tribute to the 1,500 souls lost on the Titanic 100 years ago tonight. Watching it this evening was a powerful experience. The U.S. Civil War Began 151 Years Ago Today. Fort Sumter in Charleston, SC was fired upon on April 12, 1861 — kicking off the War Between The States. Growing up in the Deep South, and sitting here today in Raleigh, NC, it’s hard to believe it happened here. But it did, and there are monuments in many towns and stories in many families to prove it — my wife’s not-sure-how-many-greats-grandfather was left to rot in the Union prison at Point Lookout, often listed as the worst of the Northern POW camps. 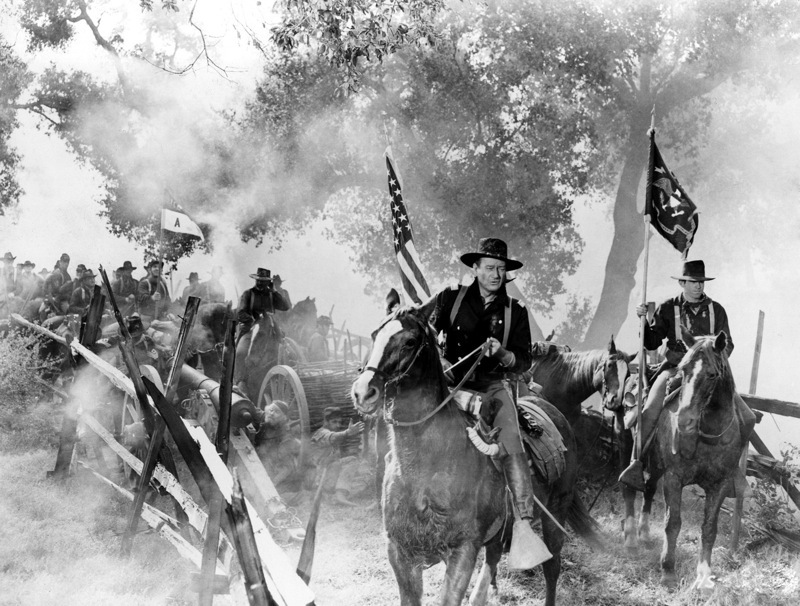 So here’s John Wayne in The Horse Soldiers (1959) to commemorate this less-than-wonderful anniversary. For some reason, I’ve always loved this particular still from this unjustly maligned film. (Click the photo to enlarge it — there’s a lot to see.) A good way to mark this occasion on this blog seems to be with something from John Ford, by all accounts a huge Civil War buff. 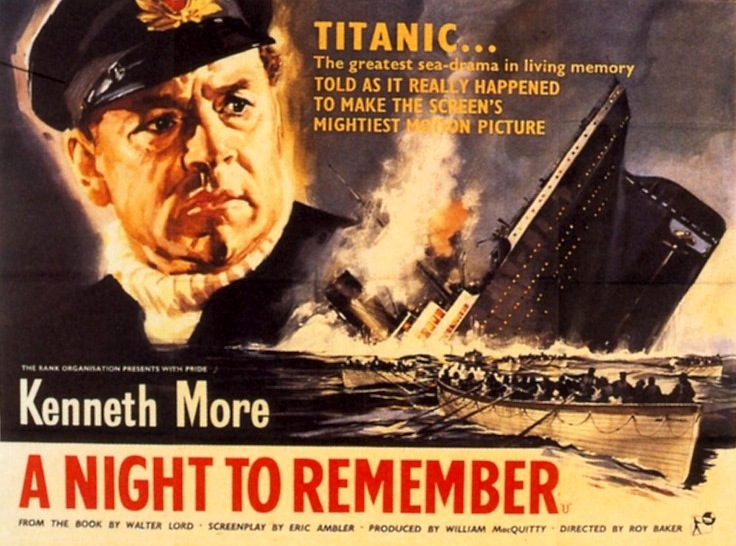 Saw a piece the other day about how many (young) people don’t realize that the Titanic tragedy actually happened, thinking it’s just this overblown James Cameron movie. (“OMG, there was a real Titanic! ?”) So, just to clarify — the Civil War really happened. It was a truly terrible time in U.S. history. And John Wayne did not fight in it. By the way, my daughter is currently building a model of the H.L. Hunley out of a paper towel roll. It’s still in drydock, but what I’ve seen of it is pretty cool.